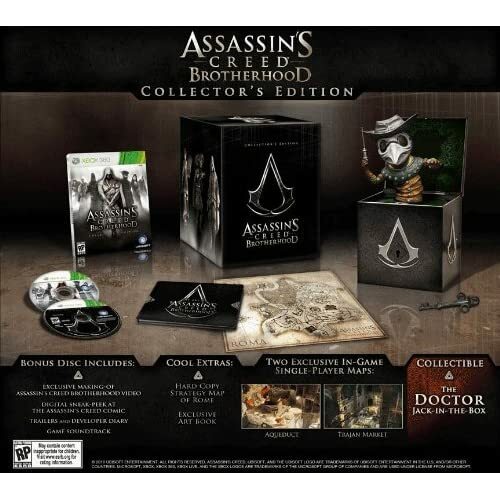 Ubisoft has announced a pretty epic Special Edition package for Assassin's Creed Brotherhood of. The bundle will include a map of the game's world, a bonus disc that go behind the scenes making of the games, and an actual working Jack-in-the-Box. $99 is what this package will cost you when it arrives this November. GameStop's version of the Collector's Edition will include an Harlequin Jack-In-The-Box.